Earlier this week we reported an LG Android phone called the LG Star that has a dual core NVIDIA Tegra 2 Processor. 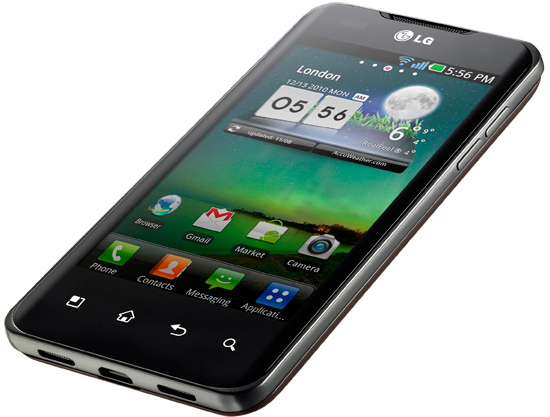 LG has announced the upcoming release of this Android handset, but under a different name: the LG Optimus 2X. Considered to be one of the most powerful phones yet, due to the dual core processor, the LG Optimus 2X will have a 1 GHz processor with Tegra 2 dual core as well as an 8MP camera, in back and 1.3MP camera in front, 1500 mAh battery, 8GB of internal storage of up to 32GB external capacity, 4 inch WVGA screen, HDMI mirroring, gyro, DLNA and 1080p video recording with playback. Android 2.2. Froyo will also be running on the LG Optimus 2X and should be launched sometime next month in Korea and afterwards in Asia and Europe which will be upgradeable to Android 2.3 Gingerbread sometime in the future.